EXCLUSIVE AT NET-A-PORTER. SemSem's glamorous designs are loved by Blake Lively and Tiffany Haddish, so we had to ask Creative Director Abeer Al-Otaiba to create something just for us. 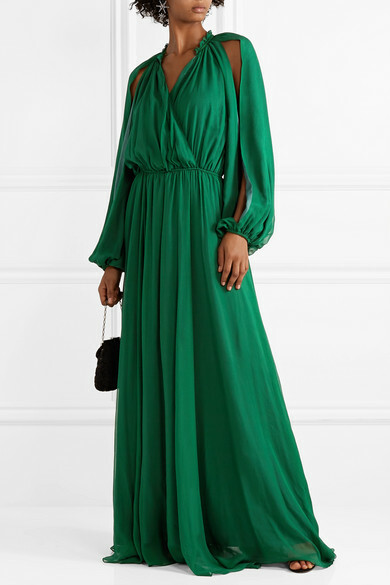 Cut from airy silk-chiffon, this gown has a gathered waist and cutout sleeves, and the ruffled collar can be unfastened to create a V-neckline. 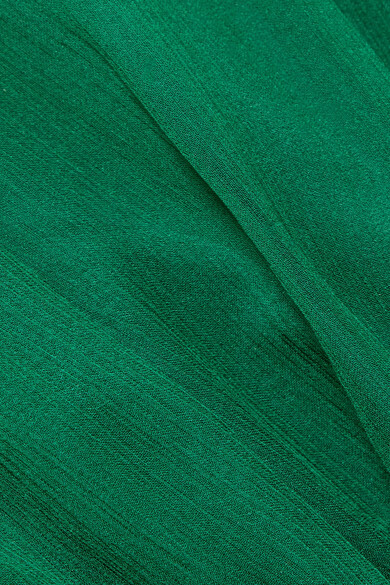 The emerald hue looks gorgeous against every skin tone. Shown here with: Bienen-Davis Shoulder bag, Aquazzura Sandals, Chloé Earrings.